After just completing the first session of StratOp, I offer my highest recommendation to those companies looking for positive growth (and who isn’t?!). Eric acted as our facilitator, and his background in corporate leadership, marketing and processes helped guide our group through the tricky waters of change. Even though Eric didn’t have direct knowledge of our industry, the StratOp program was universal in helping us overcome our cultural barriers, understand how to set up action plans, and follow through in a collaborative environment to reach our desired goals. Eric was professional, positive, and creative with offering ideas and solutions to benefit each member of our team, regardless of their experience. All of our team members are excited for the future, and Eric continues to be there supporting us every step of the way. Our school had experienced rapid growth for the past few years, making us one of the largest private schools in Colorado, and we turned to Eric Coet at (44North) for help. It was clear that we needed to step back and really look what our next steps needed to include. He lead us with a strategic outline of action items we needed to take to manage our growth, increase our effectiveness, focus our work, and measure our successes. Our first session with Eric was a combination of a marathon and an amusement park. I am not sure I have ever worked harder with a group of leaders to go through just exactly who we were as a school, non-profit, and business. We were able to define what we believed, focus on gaps and needs, develop next steps and specific action items, and create excitement around the future of our school. Eric did a masterful job of guiding and directing the strategic session while keeping a team of 15 people focused on the goal. Truly an amazing job. He is an excellent, seasoned facilitator that has a gift of bringing the frayed pieces to a focused goal. It has been almost a year since we started work with Eric Coet and during that time we developed our strategic plan and put in place an action initiative profile to manage the execution of the plan. Eric has been a great help in moving us to focus on strategic initiatives. Everyone has limited resources of money, people and time. Eric has led us to take these resources and invest them in the action initiatives that will produce the greatest outcome. Eric’s wealth of experience and contacts throughout the business community has proven to be an invaluable asset to our school, both professionally and personally. His commitment to RCS is nothing short of fantastic. I would recommend Eric and his company to anyone looking to improve function, profit, systems, leadership, and outcomes. I wish we would have done this years ago. I have experienced many different approaches and resources to Strategic Planning in our business and Eric is tremendous! Kept us focused, engaged, and consistently challenged us to arrive at our desired outcomes. Eric is an expert at asking the right questions and facilitating organizations to clarity of vision and establishing actionable steps to achieve the vision. I highly recommend Eric and the processes that he uses to anyone that needs to get their team aligned and headed in the right direction. Profit or non-profit. To any organization looking to unite their strategic thinking and operational efforts around one systematic yet powerful process, look no further than StratOp. And we give our highest recommendation to Eric as a facilitator. Eric masterfully harnessed the diverse expertise and collective wisdom of our leadership team to help us create a bold, systematic and action-oriented strategic plan that will guide our operations as we move to achieve our now clear vision for the future of our company. Thank you, Eric, for investing in our success and for your continued support. Eric is a very gifted and talented coach who has enriched my life tremendously. In the past year I have experienced explosive growth in my personal life and business thanks to his insight, guidance and willingness to hold me accountable to my commitments. In our business Eric has guided us in creating our vision, defining our true purpose, helping identifying and establish the role of Key Management positions and the creation of a strategic business development plan. This has all resulted in a 30% growth rate, and finally a profitable company. Eric has helped me move away from working in the business to working on the business. Gone are the 16 hour days, 7 days a week. Family and Friends are delighted I am once again home every night and weekends. My Health, relationships, spirituality and finances all restored and abundant. I could not be more grateful for having Eric as a trusted resource for life’s challenges. During the course of my (ongoing) relationship with Eric I have undergone and some of the most challenging transitions of my career. My professional path of choice happens to dictate that I achieve serenity while building and operating the organization of my dreams, in the midst of an industry that appears to me much the same as a pressure cooker for small businesses. If your business vision is one of a small mobile petting zoo, although I’m sure he would be helpful, I don’t know that Eric is your guy. If your business is (or feels) high stakes, tight spec, high pressure… you’re right in his wheelhouse. Eric’s perspective is the product of a highly successful career in a difficult industry. He is well versed in the nuances of small business development, and understands the challenges of the journey from A (where you are) to B (where you are going). These things are his passion, and it shows in the effort he invests in his interactions with me as well as his availability to serve as a sounding board at a moments’ notice. I don’t regret choosing to invest in myself with him as my guide, and I expect my heirs will benefit from his input long after I’m gone. Working with (44North) has really helped me grasp the concept and power of FOCUS. It has given me better clarity and kept me from dissipating my energy. I began using EMyth due to the state of overwhelm in which I was working in my business. Eric became my coach and really dove in deep trying to get to know me, my business, and my goals. The help came without force and was riddled with understanding. One of the things that really caught me off guard was the amount of introspection that Eric helped me achieve after helping me to identify my strengths and weaknesses. This, in turn, set me on a path of self discovery that helped me make a major decision that is going to change my life forever. I learned that the first step to successfully running your own business is to know who you truly are: Your values, passion and purpose. Eric was the key to this. He was able to ask all the right questions and provide concrete solutions and practices while helping me hold myself accountable for every decision I made. Without his guidance, I wouldn’t be on the most exciting path that I am on today. I can’t wait for the future and am grateful to Eric for being a colossal part of helping me mold that growth. Completing a life plan with Eric is life changing! The process gave me perspective, identified what needed to change, and provided a blueprint for the future. This gave me clarity on my priorities and increased confidence in my purpose. Eric does an amazing job facilitating the engagement, ensuring a tangible outcome is achieved. Working with Eric on my life plan was a transformational experience. As a facilitator, he was able to draw out things that I had not considered, which led to clarity and an action plan that I could follow going forward. If you are stuck in a rut, a LifePlan with Eric is the solution to get you out and move you toward a life of fulfillment and success. Eric’s leadership through the LifePlan process is second to none. His questioning and facilitating led to eye-opening clarity through the entire process. I will use the information coming out of this session to help me in future decisions, keeping my life purpose statement in focus. I have known Eric Coet since 2005 as his pastor, friend, and recipient of his unique gifting. I have known Eric to be a servant, wise beyond his years, devoted husband and loving father. 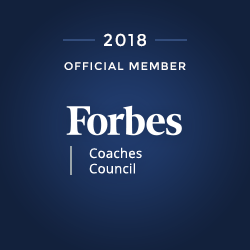 I knew he would be an effective coach, but after spending two full days developing a Life Plan, I was surprised how much I was encouraged and spurred on to continue to live out my unique calling. The process exceeded my expectations and fueled me to unashamedly live out who God uniquely created me to be. I am convinced that anyone wanting to live their life with more purpose, intentionality and effectiveness will GREATly benefit from the Life Planning process with my friend Eric.